What is a potion in a spoonful could be poison if it’s a handful. This principle holds particularly for medicine, more so in herbal medicine where diluted plant extracts are used to heal deadly diseases. Arnica is a perfect example of such a potent herb. Arnica is a known name in Homeopathy. The foliage of this delicate plant can take your pains away. Dilute preparations of Arnica are used to treat arthritis, post-operative soreness, bruises, scars, and inflamed tissues. Scroll down and get your dose of science on Arnica right away! What Are The 4 Main Benefits Of Using Arnica? 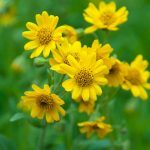 What Are The Active Components Of Arnica? How Does Arnica Work? What Is Its Mechanism Of Action? What Are The Side Effects Of Arnica? Also known as Leopard’s Bane, Wolf’s bane, Mountain Tobacco, and Mountain Snuff, Arnica montana is a perennial shrub native to Europe. With bright yellow, July-blooming, happy flowers, this Asteraceae member is a homeopathy staple. Arnica has pain-relieving and anti-inflammatory properties. It has been used to treat epilepsy, seasickness, wounds, and gunshots in the 20th century. In Europe, Arnica was thought to possess fungicidal and bactericidal properties (1). You can, thus, find Arnica in many homeopathic ointments, gels, tinctures, creams, and tablets. The active compounds in this plant, especially sesquiterpene lactones, are responsible for various medicinal applications. These sesquiterpenes occur in varying amounts in the plant parts. The concentration of sesquiterpenes was found to be higher in the disc florets than in the ray florets and even lower in the stalk. Such variability in the bioavailability of active compounds might influence the efficacy of Arnica (1). However, the mechanism of Arnica’s action has not been studied extensively. It also has received a lot of flak for being poisonous (2). And that’s when the physicians understood the power of its dosage. Arnica is known to be highly beneficial for your health, but only in trace amounts. 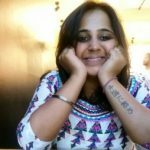 This is why it is important to understand its benefits. Read on! In Homoeopathy, Arnica is used to control swelling, pain, and inflammation in tissues. It has shown comparable results to allopathic anti-inflammatory drugs, such as diclofenac and ibuprofen (3). Topical use of Arnica ointments and gels can relieve acute muscle pains, sprains, tendonitis, stiffness, fibromyalgia, etc. Small doses of this diluted homeo preparation can tone down the sense of pain and soreness (3). There is limited yet convincing scientific evidence proving the positive effects of Arnica on cellulitis-derived pain, numbness, acute back pain, headache, hemorrhoids, etc. (4),(5). When administered with other oral homeopathic dilutions, Arnica could also reduce postoperative pain in patients (3). Osteoarthritis (OA) is a disease that affects the joints in your knees, hips, and hands. When joints lose cartilage, usually, the bone grows to repair the damage. Osteoarthritis arises when instead of rebuilding, the bone grows abnormally and affects the routine physical function (6). A study on 174 people with hand osteoarthritis showed that applying Arnica gel gave comparable results with that of ibuprofen treatment. Though adverse effects were reported, this herbal treatment improved pain and function (6). A few patients recorded better movement and recovery than the non-steroidal inflammatory drug (NSAID) counterpart. This proves that Arnica oil/tincture/gel is no less than ibuprofen – they can be used similarly under medical guidance to treat chronic osteoarthritis (7). Post-operative scars and bruises can affect an individual’s confidence and personality. Such bruises are formed when blood leaks out of damaged blood vessel walls. In a study involving rhinoplasty surgeries of the nasal bone, patients were given an oral perioperative dose of Arnica. These patients had accelerated post-operative healing, rapid recovery of the ecchymosis, and quicker change in bruise colors to normalcy (8). Such reproducible observations prove the efficiency of Arnica in healing scars and bruises. Its formulations might be employed in facelift and rhinoplasty surgeries and to heal deep wounds (9). Alopecia or severe hair loss in women is another source of depression and loss of confidence. Aromatherapy might help deal with such severe hair loss. Using a blend of essential oils from different parts of medicinal plants under medical guidance is worth a shot. Herbs like Arnica, tulsi, rosemary, thyme, and lavender target the olfactory system of your body (10). These oils release their volatile active compounds into the bloodstream when you inhale or apply them topically. The phytochemicals soothe your senses while stimulating the hair follicles. Therefore, aromatherapy is one of the safest ways to cope with hair loss (10). It is quite surprising that the unassuming Arnica flowers possess powerful pain-relieving powers, don’t you think? Well, power comes in small packets too! These benefits of Arnica are attributed to its phytochemical composition. Scroll down to the next section to find what its phytochemical constituents are. Sesquiterpene-lactones, flavonoids, and phenolic acids are the classes contributing the most to Arnica’s properties. While sesquiterpene-lactones impart anti-inflammatory and analgesic effects, the flavonoids and phenolic acids impart antioxidant and antimicrobial effects to this flower (11). Helenalin and its esters are the types of sesquiterpene-lactones found abundantly in Arnica flower heads. Quercetin-glucoside, patuletin-glucoside, Kaempferol-glucoside, Kaempferol-glucuronide, 6-Methoxykaempferol-glucoside, and Hispidulin are the flavonoids (11). Chlorogenic acid, 3,5-Dicaffeoylquinic acid, 1-Methoxy-oxaloyl-3,5-dicaffeoylquinic acid, and 4,5-Dicaffeoylquinic acid are a few phenolic acids you can find in this herb (11). Before you even think out loud, we guessed your next question. How can they synergically have a therapeutic portfolio like that? Find a few answers to your question below! There are a few proposed mechanisms through which Arnica operates. They involve the inhibition of pro-inflammatory cytokines (interleukin-1, TNF-α) and the translocation of NF-ϰß and NF-AT (Nuclear Factor of Activated T-cells). NF-ϰß and NF-AT are cellular chemicals engaged in the inflammatory processes (11). Helenalin suppresses the translocation of NFAT in the specialized immune system cells (T cells). This is how Arnica gets its immunosuppressive properties (11). A few mice studies indicated Arnica treatment showed a 4.5-fold inhibition of nitric oxide production and a drop in the levels of nitric oxide synthase and cyclooxygenase-2 enzymes. All of these are clear signs of receding inflammation in the body (3). Also, helenalin is selectively cytotoxic. In vitro studies showed how this property of helenalin could be applied to manage cancers at the molecular level (11). Hold on! Is it cytotoxic? Yes. One of the critical issues with Arnica is its safety. In fact, there is more evidence proving its toxicity than its benefits. Here is a brief (2). Using large quantities or frequent doses of Arnica extracts might cause skin irritation. Dermatitis, allergies, and related symptoms have been reported if it is used on sensitive, damaged, and broken skin. Arnica can be cardiotoxic. It can cause irregular spikes in blood pressure, shortness of breath, and abnormal and fluctuating pulse rate. However, the evidence is insufficient. Taking this oral medication in excess might cause gastroenteritis. The evidence is inconclusive and insufficient to prove the safety of Arnica for pregnant and lactating women. Since it can decrease platelet aggregation, Arnica might interfere with antihypertensive, blood thinning, and anticoagulant drugs. Use it cautiously under medical supervision. Sounds dangerous? It is not if you keep the following points in mind while using Arnica. Arnica is considered safe when used topically for short-term use on unbroken skin. But, the US FDA has not considered it safe for oral consumption.The strength of homeopathic formulas used topically is 2 g of the flowerheads in 100 ml water. Ointments might have a maximum of 20-25% of the arnica tincture. This tincture is usually a 1:10 dilution, and the oil is usually made with 1 part herb extract and 5 parts vegetable fixed oil. Arnica montana has an important place in medicine and the cosmetic and food industries. This herb is said to be an effective remedy for joint pains, bruises, inflammation, hair loss, hemorrhoids, and sprains. Ironically, it is considered poisonous if taken in high amounts. Hence, homeopathy uses a super diluted (6X) version of Arnica extracts. You can try its oil, tincture, tablets, gels, and ointments, but only under medical supervision. Hope this article was informative. Please use the comments section below for your queries, suggestions, and feedback about this read. “Medical Attributes of Arnica spp.” Biology Department, Wilkes University. “Effectiveness and Safety of Arnica montana…” American Journal of Therapeutics, Academia. “A Homeopathic Arnica Patch…” Global Advances in Health and Medicine, US National Library of Medicine. “Enlarged hemorrhoids: How can you relieve…” Informed Health Online, Bookshelf, National Center for Biotechnology Information. “Topical herbal therapies for treating osteoarthritis” Author manuscript, HHS Public Access, US National Library of Medicine. “Choosing between NSAID and arnica for…” Rheumatology International, US National Library of Medicine. “Perioperative Arnica montana for Reduction…” Annals of Plastic Surgery, US National Library of Medicine. “Effect of homeopathic Arnica montana on bruising…” Archives of facial plastic surgery, US National Library of Medicine. “Alopecia: Herbal Remedies” International Journal of Pharmaceutical Sciences and Research. “Phytochemical Composition of Arnicae flos…” Revista De Chimie, Academia.